I’m a sucker for an American Procedural, and NCIS was once of the first attempts to clone the success of CSI and by far the most successful, at least in terms of ratings. It’s currently showing in its 11th season and it’s been firmly lodged at the top of the most watched list in the US, averaging about 20 million viewers per episode for the last few years (wikipedia. I was initially attracted by the cast list who had all appeared in shows that were far less successful, but some of my favourites. Mark Harmon was to Chicago Hope what George Clooney was to ER, Michael Weatherly had been a great ‘straight guy’ in the unusual Dark Angel and David McCallum was always my favourite in Man from UNCLE. I’d also been a bit of a fan of JAG for a while, so slotting into that universe was the icing on the cake. The early seasons did not disappoint. It took CSI’s science and focus on investigation and put it into the interesting context of investigating crimes within and against the navy. There was more excuse for running around and shooting things so that didn’t feel so strained. Key for me however were the characters, they were quirky, but not ridiculous, personal information was revealed slowly and organically and melodrama was kept to a minimum. 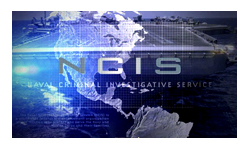 NCIS was never going to win awards, but it was reliable entertainment that was neither completely mindless nor particularly challenging. But by about season 7 things were starting to fray, the slow and steady character development started wobbling about. One week a character would demonstrate the competence and be shown the respect their many years of experience warranted. The next week they’d be the clown, making rookie mistakes and being treated like a child. The biggest sin to me in any show is sacrificing believable character development to drive a plot. And it wasn’t even as if most of the plots were that good. Increasingly I couldn’t remember the case of the week from one scene to the next, let alone one episode to the next. If I wasn’t watching for the story and I wasn’t watching for the characters, why was I watching? It took me a while to actually really give up, but after season 9 I called it a day. Rather stopped. I’ve thought about watching a few of the more recent episodes to see if losing and then replacing one of the key actors has given it a shot of life, but to be honest, I can’t really be bothered. For now, the Los Angeles spinoff is enough. It has all the positives the early NCIS had, consistent and interesting characters and engaging enough stories. There’s another attempt at a spin off in New Orleans staring Scott Bakula coming soon as well, so I think that’s plenty of NCIS for me.